All right, I have a confession to make, guys. Even though I have lived in northern Ohio pretty much all my life, I had never been to Michigan. Well, sure, I'd flown through the Detroit airport a few times. But I'd never actually spent any amount of time IN the state of Michigan. I decided to change that this year. A few months ago, my boyfriend and I were discussing a joint birthday trip since our birthdays are only a couple weeks apart in the fall. We tossed around beach vacations, California road trips, and even a trip to Iceland. But, in the end, a wedding invitation made the decision for us. Elliot's best childhood friend was going to be getting married in Grand Rapids, Michigan, and Elliot insisted that we couldn't miss it. So our vacation plans shifted from the warm and exotic to something a little closer to home: a weeklong getaway to northern lower Michigan. It may not SOUND like the dream vacation. But 4 days in Traverse City followed by 4 days in Grand Rapids actually turned out to be a GREAT idea. 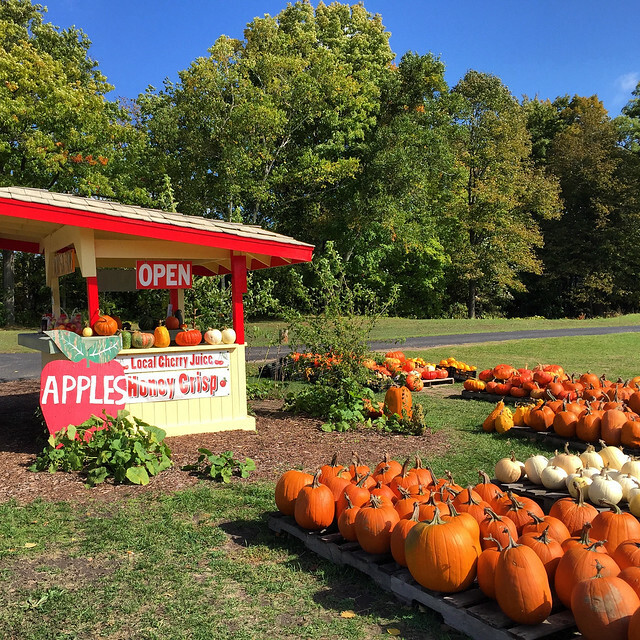 I finally got the experience “Pure Michigan” — and in the fall, no less, when all the trees were bursting into all sorts of vibrant colors and a massive art competition was going on. Trees just starting to hit peak color in the tiny village of Cedar. 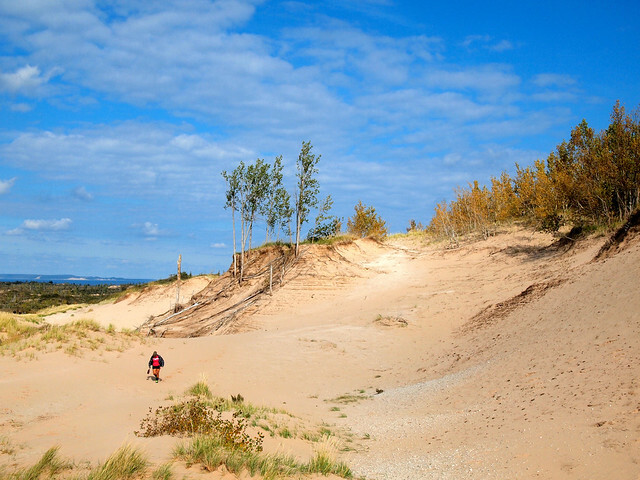 Sand dunes and shades of blue — Lake Michigan at Sleeping Bear Dunes National Seashore. 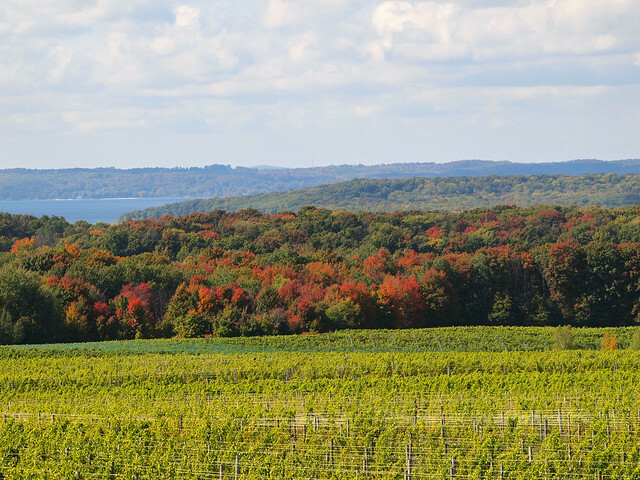 Looking out over wineries on the Old Mission Peninsula, not far from Traverse City. 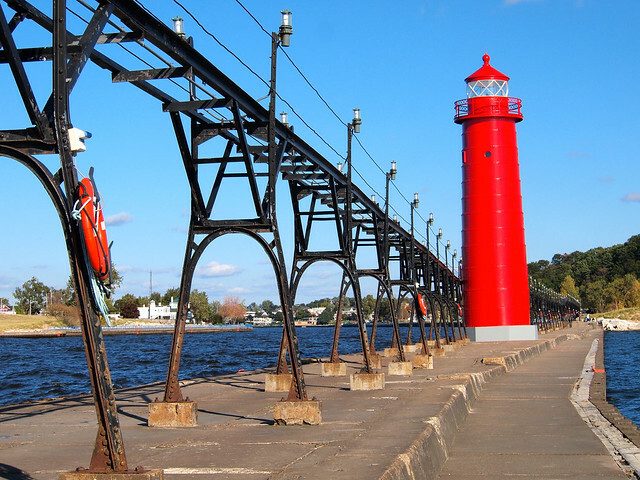 Grand Haven Lighthouse — an easy afternoon trip to the lakeshore from Grand Rapids. The Village at Grand Traverse Commons. 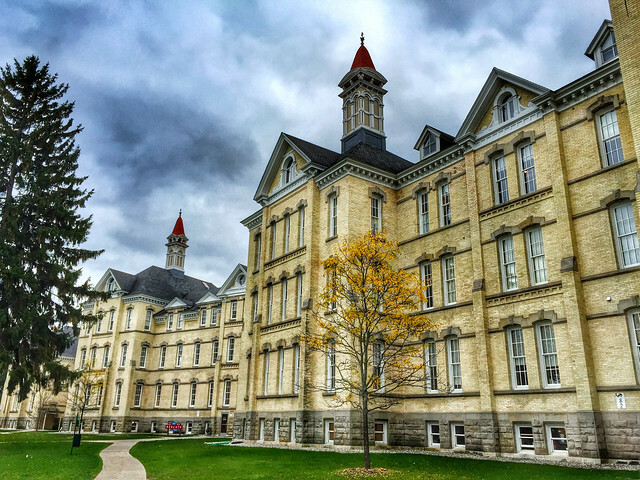 This used to be the Traverse City State Hospital, a mental institution. Now it's being revitalized and turned into shops, restaurants, offices, and even condos. Fall colors along the roadside. A pretty scene on the shores of Lake Michigan. 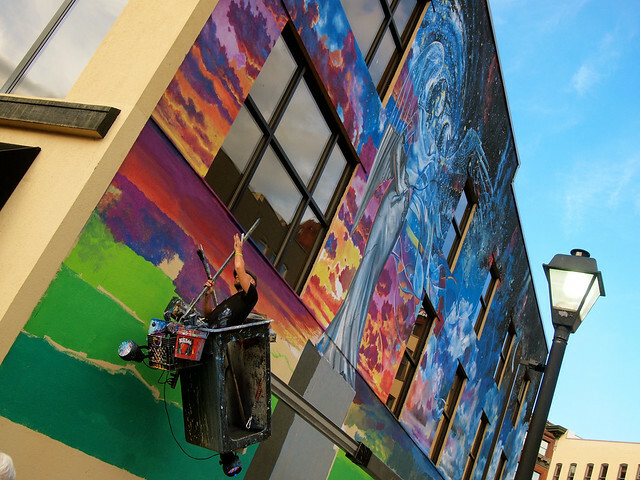 An artist working on a mural during ArtPrize in Grand Rapids. 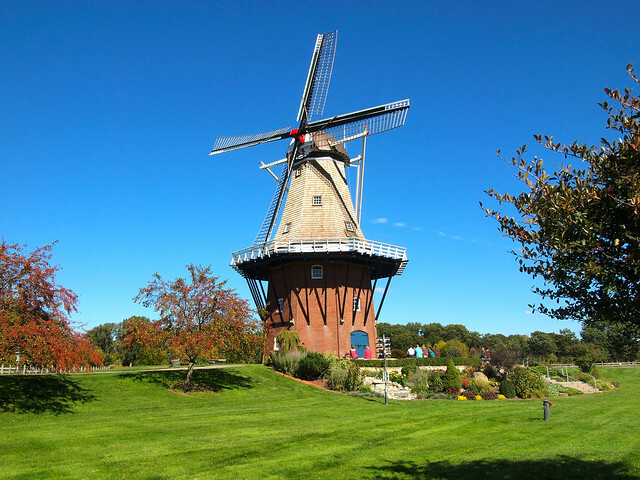 A traditional, 250-year-old Dutch windmill at Windmill Island Gardens in Holland, Michigan. 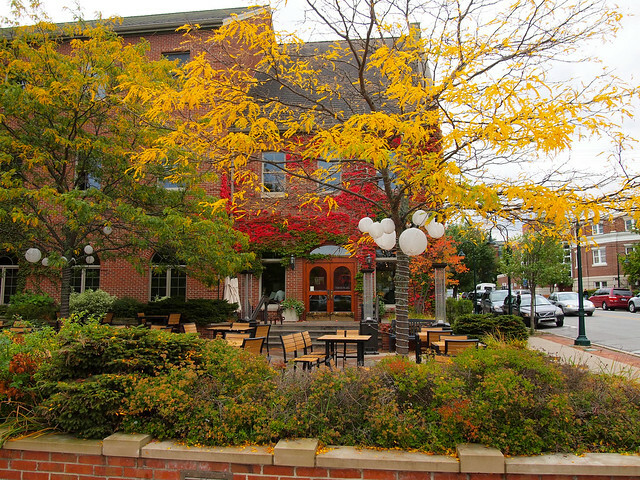 Charming downtown Traverse City, in full fall color. 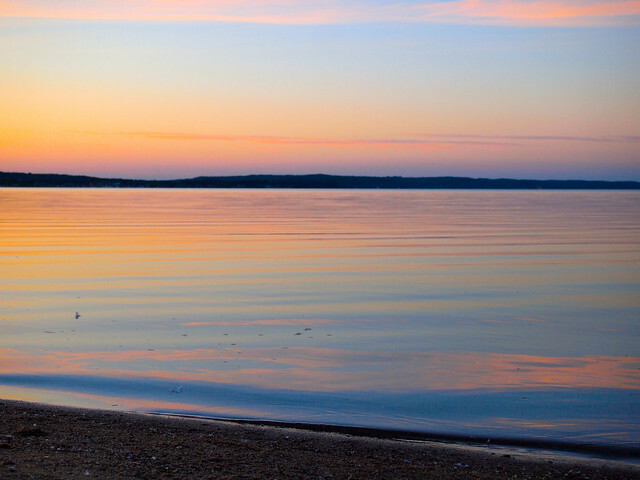 Lake Michigan sunset, as seen from the Bayshore Resort's beach in Traverse City. 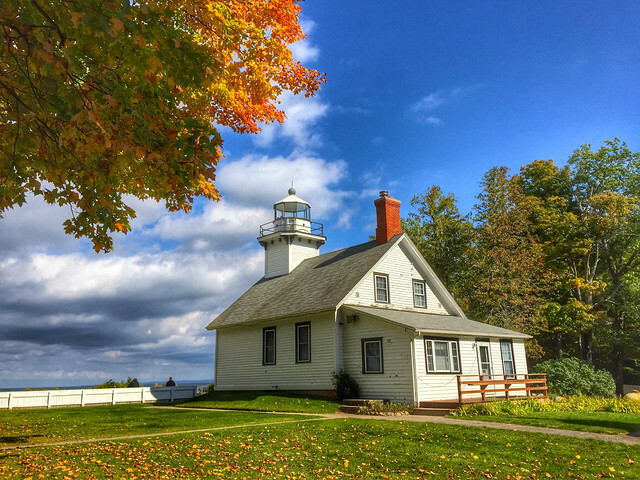 Mission Point Lighthouse on the Old Mission Peninsula. 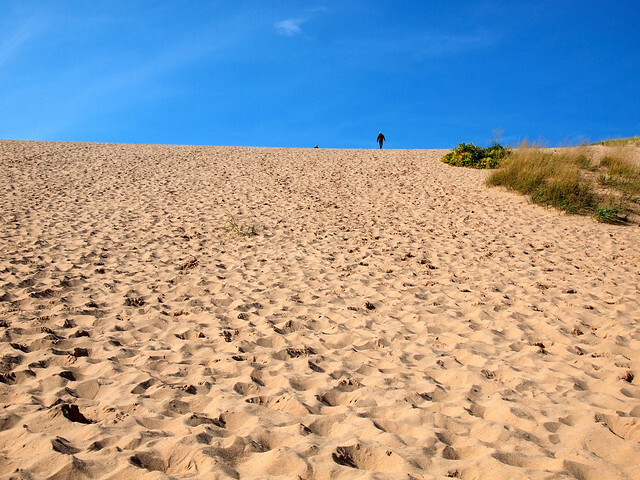 Climbing a giant sand dune at Sleeping Bear Dunes! 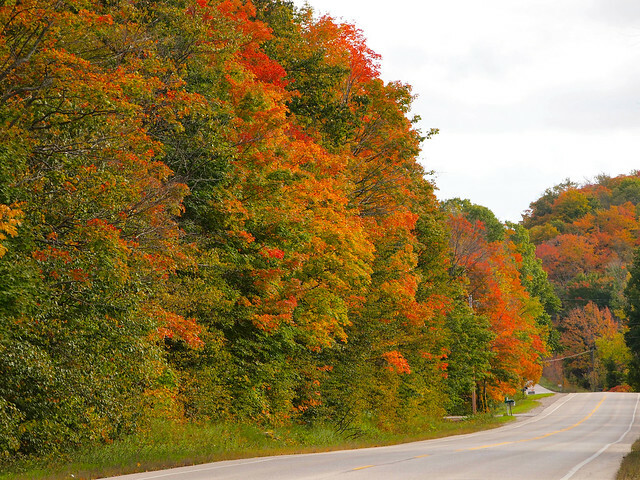 Fall colors spotted while driving from Traverse City to Grand Rapids. 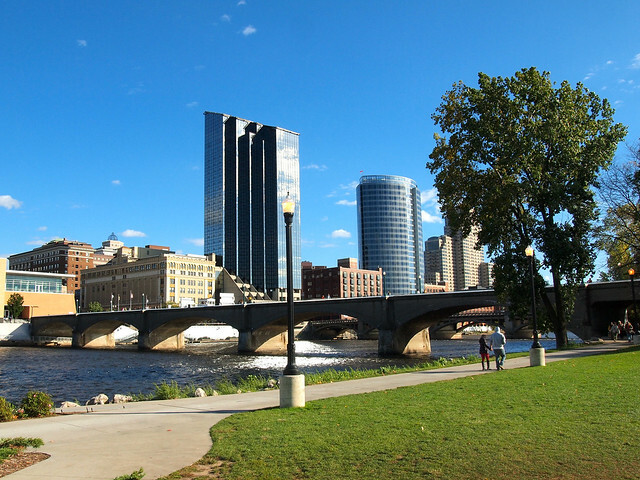 Downtown Grand Rapids on a sunny day. 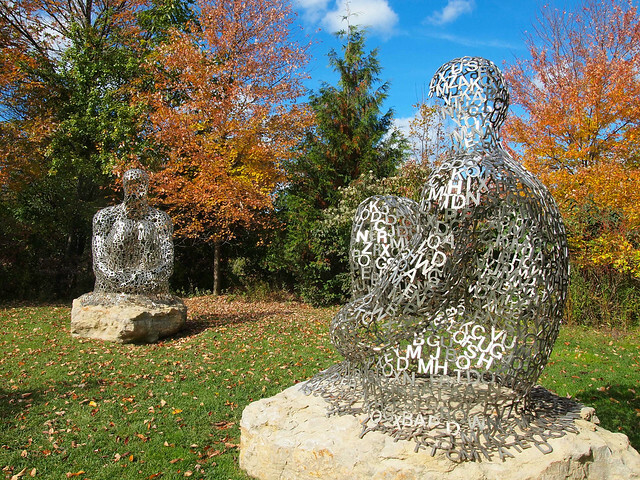 Art at the Frederik Meijer Gardens & Sculpture Park in Grand Rapids. 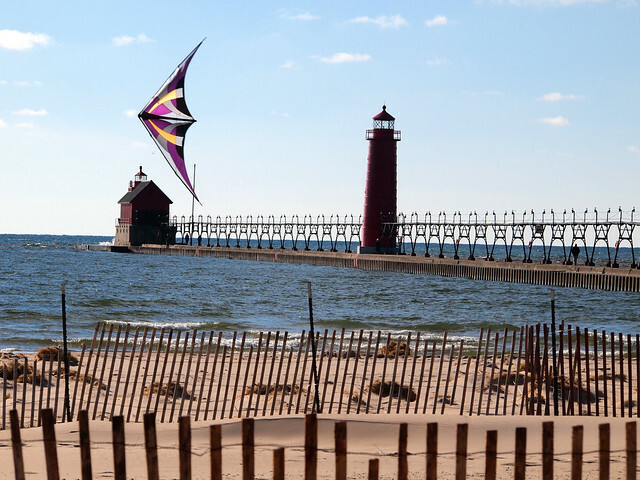 Kite-flying at the beach at Grand Haven Lighthouse. 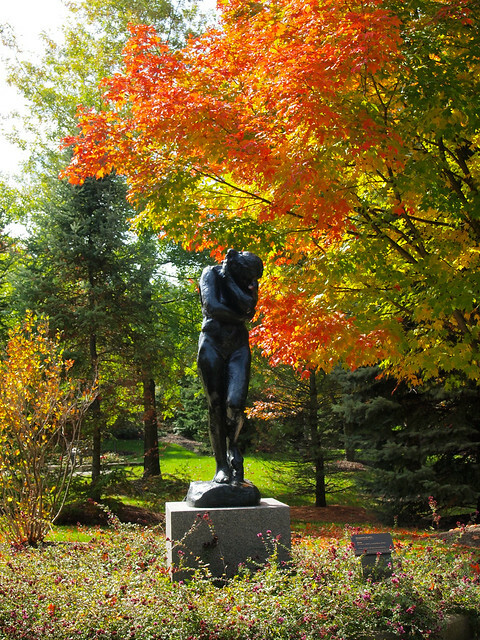 A Rodin piece at the Frederik Meijer Gardens & Sculpture Park. 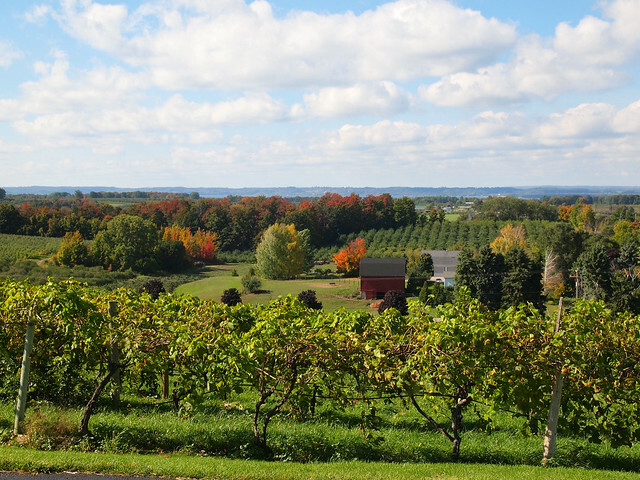 Looking out over a vineyard on the Old Mission Peninsula. 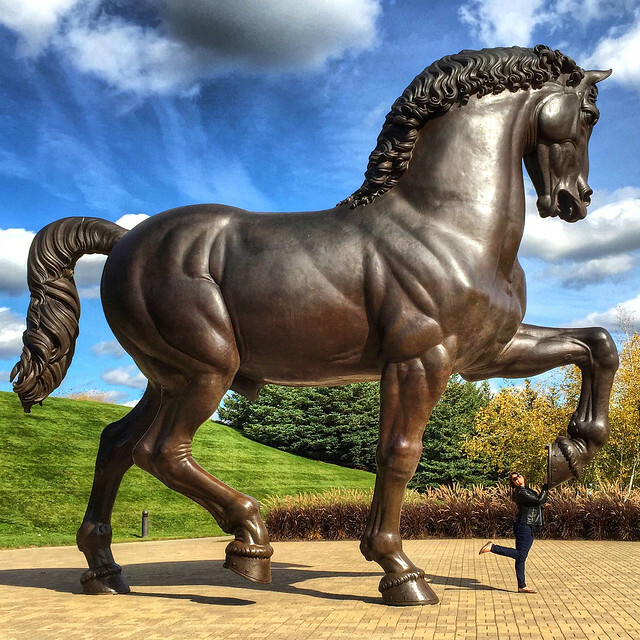 The “American Horse” in Grand Rapids. This thing is HUGE! At Sleeping Bear Dunes National Lakeshore along Lake Michigan. One last look at Grand Have Lighthouse and Lake Michigan. 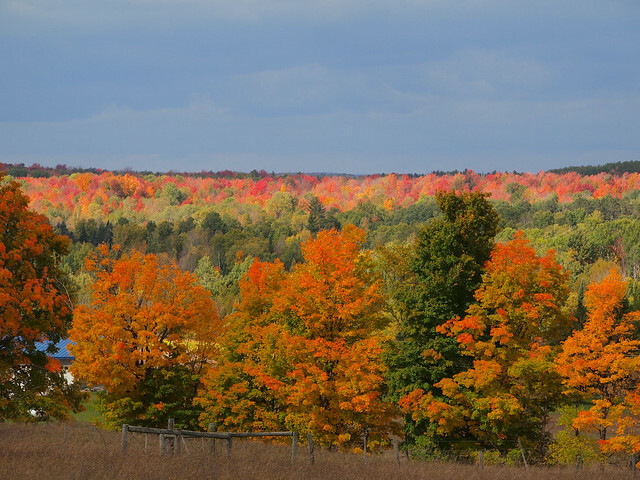 Does this inspire some #PureMichigan in you, too? Which photo is your favorite? *Note: Big thanks to Traverse City Tourism, Experience Grand Rapids, the Grand Traverse Resort and Spa, and the Bayshore Resort for hosting us during our trip! I highly recommend spending some time up in Traverse City, too! I LOVED it – so pretty. Isn’t Michigan awesome? I grew up near DC, and had no idea that Ann Arbor was within an easy day’s drive until I actually went. My parents and I did a road trip of the Upper Peninsula and the Traverse City area a few years back and it was honestly one of our best family trips. 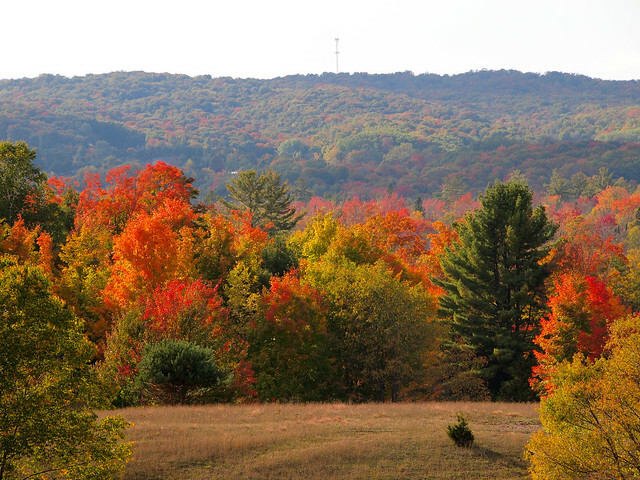 I love your photos of the fall colors – being there in summer, I missed that part of the state’s beauty! It was so fun to drive around and spot all the colors this time of year. 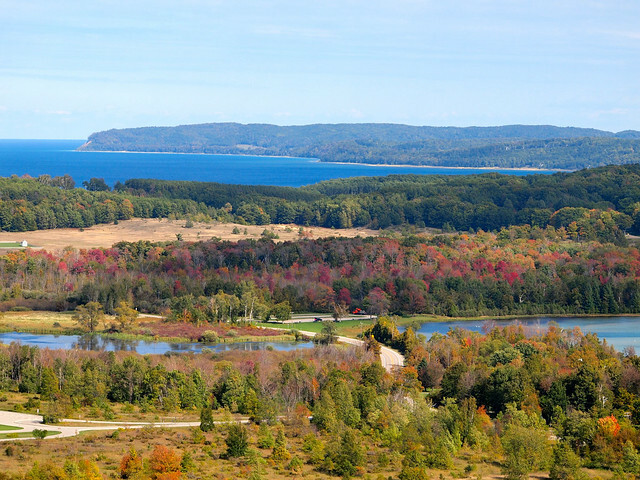 And the Traverse City area… talk about gorgeous! It’s crazy that a Great Lake can look like the Caribbean Sea sometimes! That sounds fun! 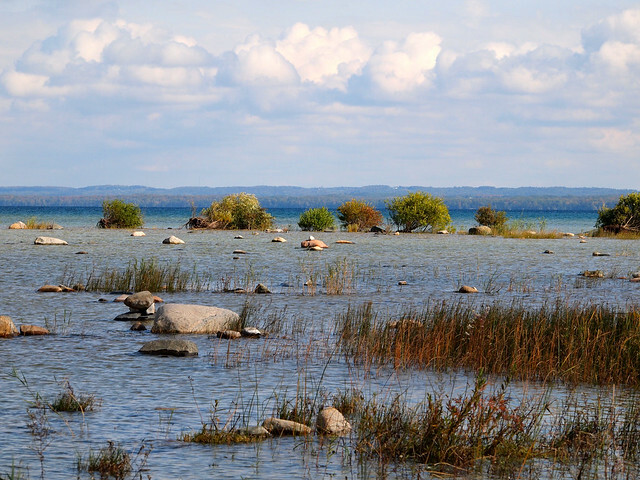 So many outdoor activities to do year-round, especially near the lake. I really had no idea! Wow, I’ve never been to Michigan (or even the MIDWEST! at ALL!) but you make it look so beautiful! Looks like a wonderful trip. I live in Michigan and this post is totally reminding me why!!! 🙂 I love West Michigan but I have never been to Traverse City and now I am aching to go! 🙂 These are beautiful pictures! Autumn is my favorite, too – I LOVE the colors! I fly through Detroit so much – and Kalamazoo too – but have not had a chance to overnight there and I truelly want to. I hear so much about Michigan and your photos show how beautiful it is. Hopefully I get some time to spend a few hours, rent a car and drive around. Same with Ohio – if I ever get a layover with a lot of time I will see if you’re in town for any travel talk if you’d like! Sooo.. I’ve always thought Michigan is just another boring mid-west state… I guess not, huh!? Time to plan a road trip to that part of the country soon! Beautiful photos! The Midwest is much prettier (and cooler!) than most people give it credit for! Those that only spend time in the Greater Detroit area would never suspect that the rest of Michigan could ever be this beautiful or urbane (in the case of Grand Rapids) … thanks for breaking new ground! I know! I kind of always thought of Michigan in terms of Detroit and Flint and other cities like that. But the state is so much more! I’m happy to be able to show that. Don’t feel too bad- I spent the first 25 years of my life living in Michigan and only made it up to Traverse City for the first time in August! I love your photos. The fall colors are absolutely stunning. Same for me with some places in Ohio… I know they’re there, but there are still plenty of places I haven’t been yet! That lighthouse is a stunner. Love its red color! Love the the rest of the photos too. Great post! Beautiful places and moments you captured there. Thanks so much, Vanessa! I really loved that red lighthouse, too! Difficult to believe you’d lived in Ohio so long, and had not spent time in MI! And judging from the comments, sounds like more people need to get up there! 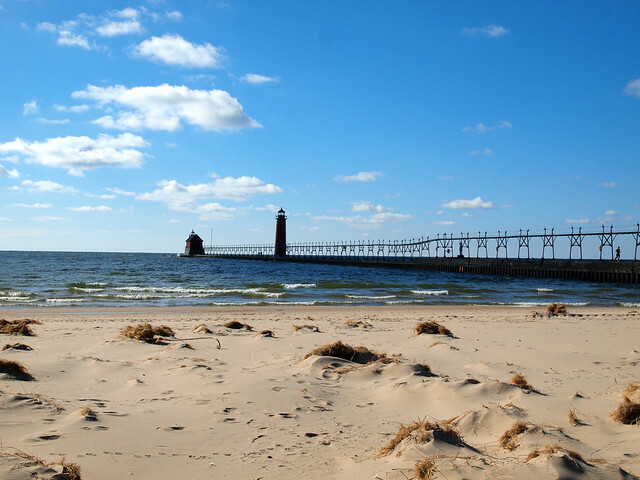 I love Michigan in the spring, summer, and fall, and you visited some of my favorite places. Old Mission Peninsula, Traverse City, Meijer Gardens – really beautiful spots, and you’ve captured them wonderfully in your photos! #MittenPride! I love my state and I don’t think that you could have displayed it any better! Your pictures are absolutely gorgeous. And I’m so glad that you enjoyed your time! Grand Rapids and Traverse City are two of my favorite places. Thanks so much, Allison! 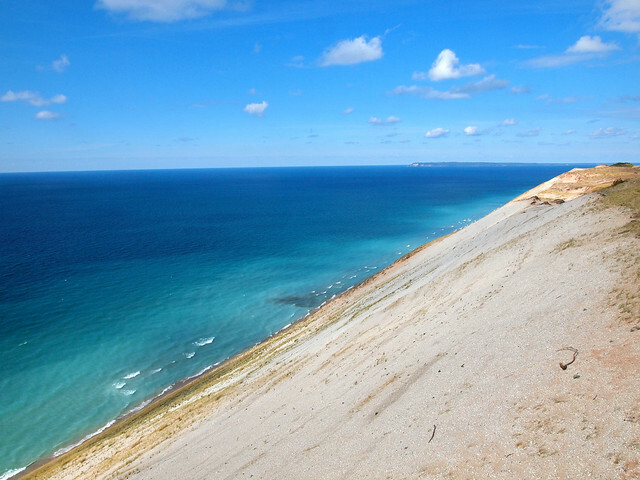 And yes, really enjoyed the trip – this part of Michigan is gorgeous! these autumn pics looks stunning! Thanks, Kami! And cool about the letter sculptures! Yes, I totally understand why you would keep returning to this area! Traverse City especially is amazing! So pretty this time of year. Wow- Michigan is not what I was expecting of it at all! The mission point lighthouse is absolutely stunning! Michigan is simply one of the best states ever in terms of beautiful views and sceneries. It really is awesome! It’s a state I know I’ll definitely be returning to!